Why Did the Sailor Soldiers Fight in School Uniforms? While I wouldn’t go so far as to say that it’s completely out of the question, taken from a Western point of view (and assuming no prior influences by anime or other aspects of Japanese pop culture), the very idea of a super hero transforming into a powered-up version of their own school uniform seems downright silly. 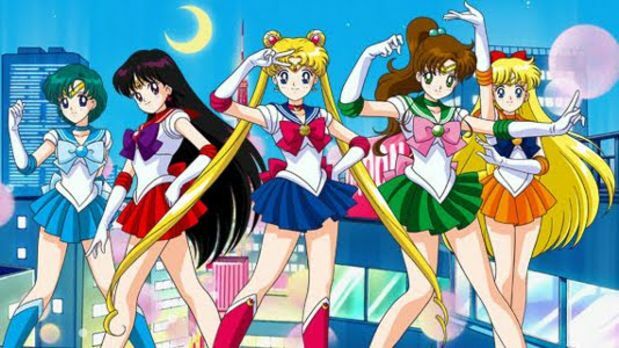 It goes without saying that the entire premise behind the name of the series itself is based on the fact that they’re wearing uniforms styled after late-19th century European navies,1 but there has to be something more to the fact that these soldiers of love and justice are, sailor-suited, right? As usual, this is a rhetorical question, and the answer is most certainly yes! But let’s take a deeper look into the why. As you’ve no doubt noticed when you look at younger characters in the series (e.g., Shingo, ChibiUsa, Momoko, Kyuusuke, and others), it’s not common for students prior to junior high school to wear school uniforms. In fact, according to the 2013 report on “Basic School Information” by the Ministry of Education, Culture, Sports, Science and Technology (MEXT),2 the majority of the 21,132 elementary schools in Japan all their students to wear “personal clothes” (私服; shifuku) to school, though this generally excludes physical education and swimming classes. What we see here is that, by and large, Japanese society typically has a rather favorable opinion toward uniforms. So when these elementary school students finally grow old enough to enter junior high school (and near the age of our protagonist in Sailor Moon), finally having your own school uniform is a source of pride and something of a status symbol. After all, anyone who sees your uniform can tell which school you go to, which instantly gives them an idea of how intelligent you are, or how wealthy your family is. So where do we ultimately find ourselves? Well, I think we can firmly say that the very concept of wearing a school uniform doesn’t in any way conflict with the concept of suited lady soldiers of love and justice, but actually – from the Japanese point of view – complements the concept quite well. Wearing a school uniform is a source of pride and even becomes a part of your identity. Considering that many of the fans of the anime, at least, were pretty firmly in the elementary school category and looking to graduating to junior high school on their own, it’s not hard to imagine that they held a certain admiration for the sailor-inspired school uniforms. Read also: Why Does Makoto Live Alone? So what did we learn here? Well, Japanese culture regarding uniforms is pretty complex, for one. But other than that, it’s probably worthwhile to actually stop and take a look at the designs behind the uniforms worn by the Sailor Soldiers and actually think about the inspirations behind them. 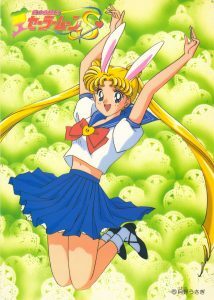 As the series progressed, more Sailor Soldiers were introduced, and Usagi moved on in her Super and Eternal Sailor Moon forms she slowly moved away from the school uniform inspiration, but its roots are still there, and they can trace back pretty nicely to that sense of young innocence Ms. Takeuchi wanted to convey. Who knows, maybe it even inspired some young girls to play Sailor Moon in their very own uniforms! ← Why Did the Outer Senshi Use Lipstick in Their Transformations? By this logic, I think I would like to attend the school Galaxia did, they had the shiniest uniforms! They had gold shorts and a disco ball in the auditorium, I’m sure. 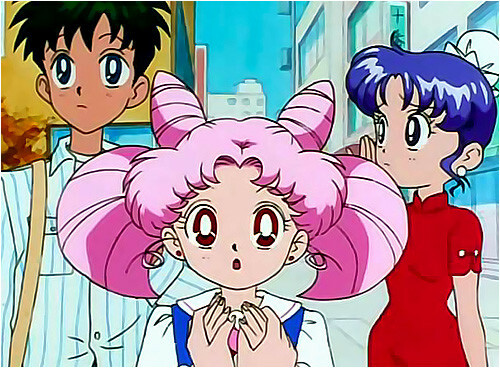 Still never could figure why genius Ami went to Juban, an ordinary school.